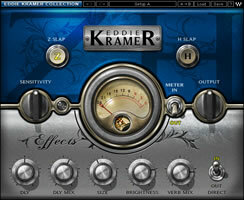 Waves has announced the release of The Eddie Kramer Collection - featuring five application-specific audio plug-ins, created in collaboration with legendary Producer/Engineer Eddie Kramer. 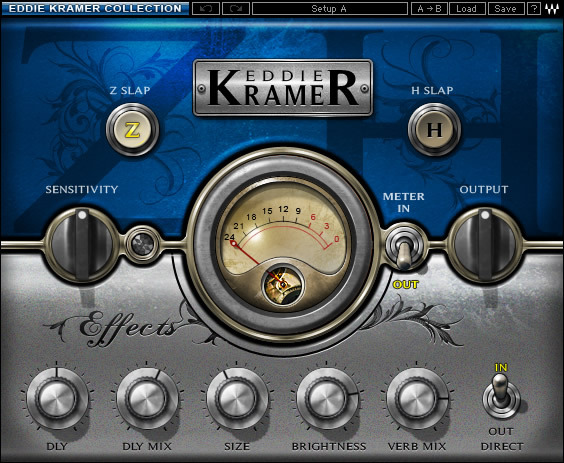 Priced at $800, The Eddie Kramer Collection is available for Windows and Mac OS X in VST, AU, RTAS and Audio Suite plug-in formats. It is available at no additional charge to users of Waves Mercury covered by Waves Update Plan. Eddie Kramer on the Vocal Channel: "When mixing, there's always a fight going on between the vocal and the rest of the track. For me, what makes a good mix is when all the elements combine seamlessly, complimenting one other. 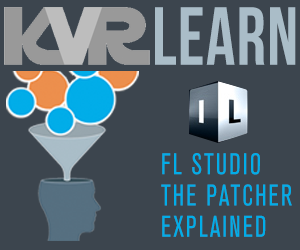 When we designed the Vocal Channel plug-in, we did it in such a way that the user can position the vocals within the mix, and then blend it back into the track, without it popping out, in such a way that it retains all its original clarity and presence." 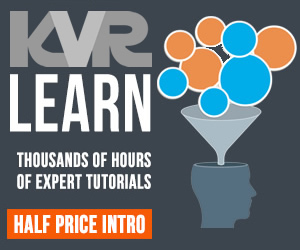 Vocals 1, designed for classic rock vocals with a lot of dynamic range and intensity. 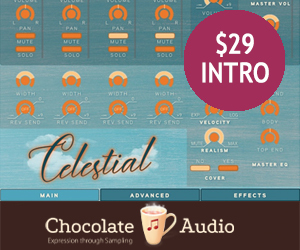 Vocals 2, for gentler vocal performances that stay at smoother, steadier levels. Type toggles between the 2 vocal types: Vocal 1, Vocal 2. Compress controls amount of compression applied to the signal. 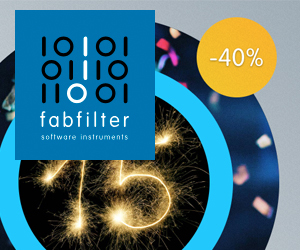 FX controls the amount of signal sent to the effect. Verb Mix controls the relative level of the reverb. Meter Switch toggles meter monitoring between input and output modes. Meter displays input or output. 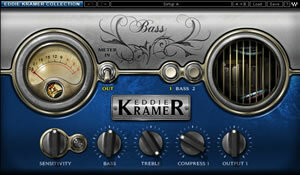 Eddie Kramer on the Bass Channel: "The idea behind the Eddie Kramer Bass Channel was to create a fat bass sound with a lot of presence, that cuts through without being overbearing. In general, the low-mid frequencies are accentuated, so it really pops on radio mixes. That way, you can always hear it clearly, even at low volumes on small speakers. The Bass Channel comes in two flavors: Bass1, which is less compressed, for a more dynamic sound that has room to breathe, and Bass2, a more aggressive sound with increased compression." Type toggles between the 2 bass types: Bass1, Bass2. Compress controls the compressor intensity. 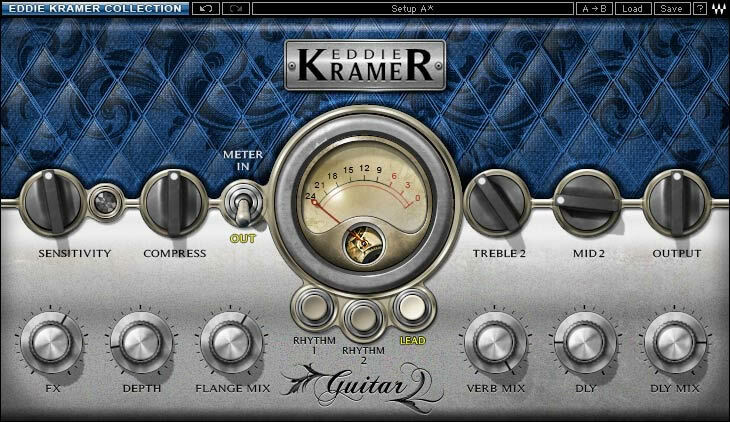 Eddie Kramer on the Guitar Channel: "The Guitar Channel plug-in features settings for lead guitars and two types of rhythm guitars. When it comes to lead guitar, I want it to become a living, breathing organism, creating a palpable sense of excitement within in the mix. 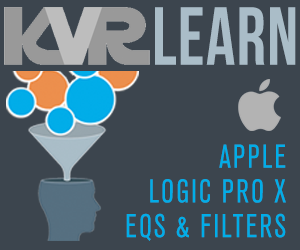 By combining the right amounts of EQ, compression, delay, reverb, and a touch of flange, these 5 elements, working together, make it come alive. For rhythm guitar, I try to get it "in your face" as much as possible, without over-processing the sound with EQ. By adjusting the amount of compression, and not overdoing the amount of space, I make sure that the guitar stays up front, where it belongs." 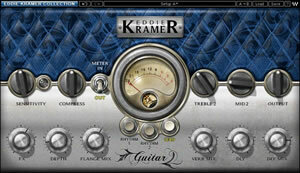 Guitar Type toggles between the 3 guitar types: Rhythm 1, Rhythm 2, Lead. 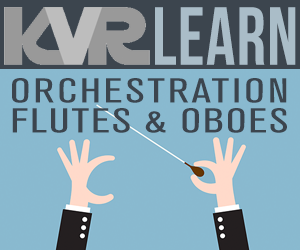 Treble controls high frequency range. FX controls the effects send gain. Depth controls the flange effect depth. Dly sets the delay time. Dly Mix controls the amount of audible delay. 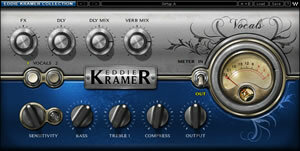 Eddie Kramer on the Drum Channel: "The Drum Channel plug-in really captures the essence of my drum sounds. 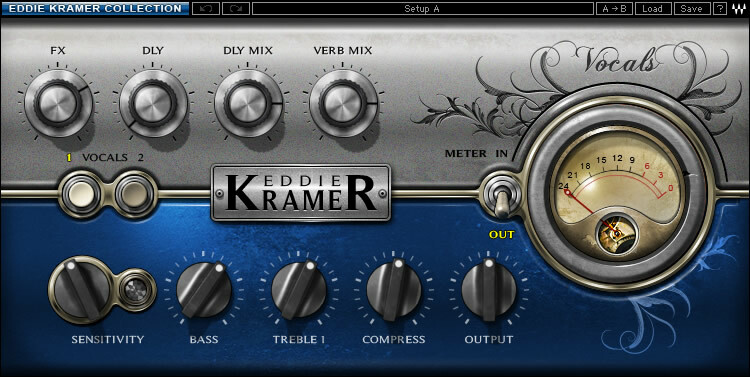 Whether you're trying to achieve a huge Zep-like sound with loads of atmosphere, or are going for something more dry and down-to-earth like the Stones, or need a heavily-compressed, squashed, Hendrix-type sound, this is the plug-in that will get you there, quickly and easily. 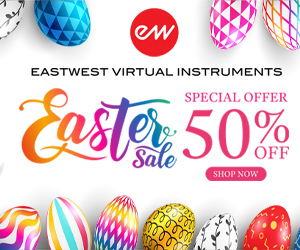 Since there are individual modes for bass drums, snares, and so on, you can really mix things up by creating your own hybrid drum kits, using your favorite elements from each." 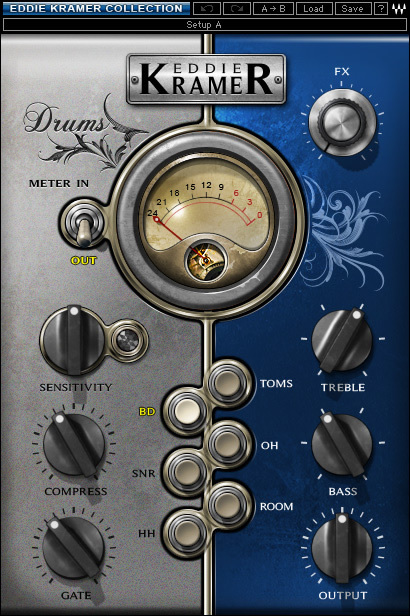 Type toggles between the 6 drum types: BD, SNR, HH, Toms, OH, Room. Gate controls the gate threshold (available in BD only). 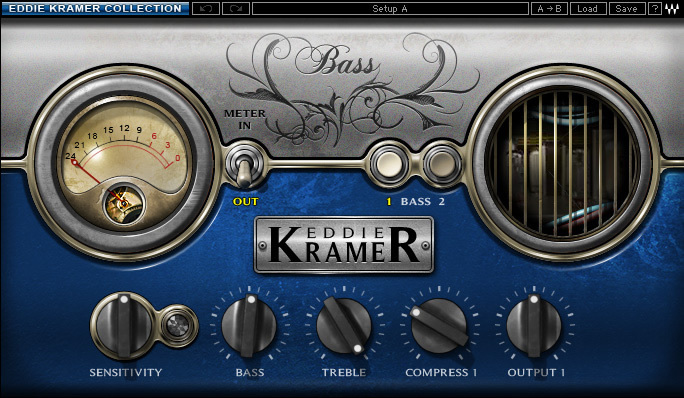 Eddie Kramer on the Effects Channel: "For the Effects Channel plug-in, I set out to recreate some of the basic elements that I use whenever I'm painting a sonic picture. 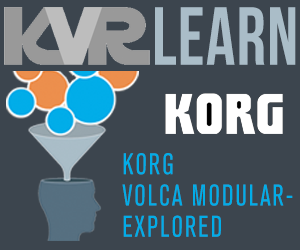 Over the years, these elements have evolved to suit a variety of sources and styles, from whispering vocals to screaming guitars and beyond. H-Slap is a shorter delay that emulates tape at 15 inches per second, with some EMT plate reverb at a medium setting. Z-Slap is a longer delay (7 ½ inches per second) with a bit of feedback and a longer setting on the EMT plate. Between the two, you'll easily find the ideal setting for almost anything you can throw at it." Type toggles between the 2 effect types: H-Slap, Z-Slap. Dly controls the time of the slap delay. Dly Mix controls the mix or direct send to the slap delay. Size controls the size and time of the reverb effect. Brightness controls the High Frequency range of the reverb effect. 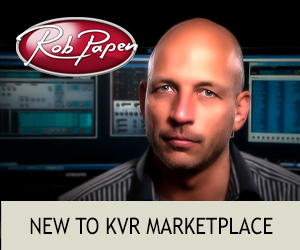 Verb Mix controls the amount of reverb mixed with the signal.